Pingxiang Ammonia Decomposition Catalyst is cooperatively developed by our company and chemical physics research institute in Dalian of Chinese Academy of Sciences, replacing Germany G-117. 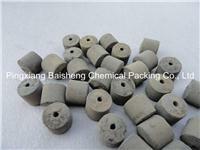 AD-946 Ammonia Decomposition Catalyst is developed by Baisheng Chemical Packing and Chemical Physics Research Institute in Dalian of Chinese Academy of Sciences, replacing Germany G-117 for towers in steel industry and refinery. 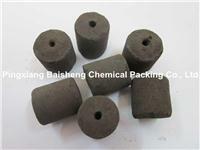 This products have properties of great catalytic activity, high mechanical strength, and excellent thermal and coking resistance. 2) Effectively purify the coke-oven gas for the sake of environmental protection and protect the equipment from corrosion.